How Will Legal Marijuana Impact Workers Comp? As of 2018, medical marijuana is legal in 29 U.S. states and recreational is legal in 7 states… And there’s no end in sight. The opioid crisis continually makes headlines, and some doctors are already prescribing marijuana as an alternative to addictive narcotics. In fact, there are known cases of injured workers weaning themselves off of opioids using marijuana. Some evidence even suggests marijuana can be extremely effective in addressing issues like epilepsy, glaucoma and some traumatic injuries. One study that appears in a 2017 edition of the Journal of the International Association for the Study of Pain asked medical marijuana patients to rate the effectiveness in treating their pain. The average score was 74.6% on a scale of 0% (“no relief at all”) to 100% (“complete relief of pain”). Still, marijuana-related research is in its beginning stages. And even if cannabis becomes a more mainstream therapy for workers comp injuries, it still remains illegal under federal law. That means if a doctor prescribes cannabis for an injured worker, the carrier may still have grounds to refuse payment of the claim. 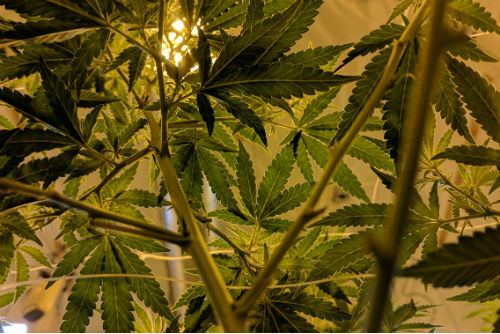 So far, only 5 states, Connecticut, Maine, Minnesota, New Jersey, and New Mexico, officially require insurers to pay workers comp claims involving medical marijuana. Although such cases have been few, as more states legalize marijuana, it could be a very interesting circumstance. You could have a state saying yes, you have to pay, and the feds saying no. Although the supremacy clause of the Constitution may suggest the federal government would have precedence, it could be seen as a states’ rights issue too. Another issue working its way through the courts is an employers choice to implement drug-free workplace policies. The goal seems simple: Reduce the number of employees who come to work impaired. If a larger portion of the workforce comes to work drunk or high, that could create injuries on the job that wouldn’t exist before. Every state has laws that dictate what an insurer can do if someone causes an injury who was impaired in some way. Some allow you to restrict coverage and some allow you to deny the claim altogether. But do drug-free workplace policies stand up in states where marijuana is legal, either medically or recreationally? In 2015, Colorado courts ruled that an employer can have a drug-free workplace policy and fire you for testing positive for marijuana, even though it’s legal. But in July, a Massachusetts Court ruled that employees who have legal prescriptions for marijuana can sue their employers for disability discrimination. But only if they’re fired solely on the basis of using the drug. That means that while employers are free to enforce a drug-free workplace policy, they can still be held liable for discrimination. The reality is, there’s no reliable way for an employer to determine whether an employee is high at work. A drug test may come back positive, but that could just mean the employee smoked at some point in the last few weeks. However, it’s important to note: In Ohio, a positive urine test for cannabis creates a rebuttable presumption that the injured worker was intoxicated at the time of the injury and the intoxication caused the injury. Short of an injured worker coming clean of their own accord, proving marijuana impairment in the event of an injury is a tall order. You can’t breathalyze for marijuana, unlike alcohol which can be tested on the spot. But the science hasn’t gotten there yet for marijuana or even for prescription pain medications. Some employers have expressed concern that if they implemented drug testing they wouldn’t be able to get the work done. There are certain industries where drug use among employees is just part of the drill. What does a drug-free workplace look like in a world where marijuana is legal? As this becomes more prolific, we’ll have to figure out how we deal with it. If you’ve got a question about a workers comp issue, immediately call Columbus Attorney Tom Marchese at 614.486.3249 or click here to get started with your free consultation.